Keep an eye on your home with this white Ring Spotlight security camera. It will give you a direct feed to your tablet or smartphone, letting you see what’s going on wherever you are. You’ll even get a clear view when the sun goes down too, thanks to night vision. Designed for outdoor use, it offers crisp HD 720p recording, as well as a built-in floodlight to give you a clearer look at what’s happening. Plus, with two-way audio, you say hi to any visitors before getting up to let them in. 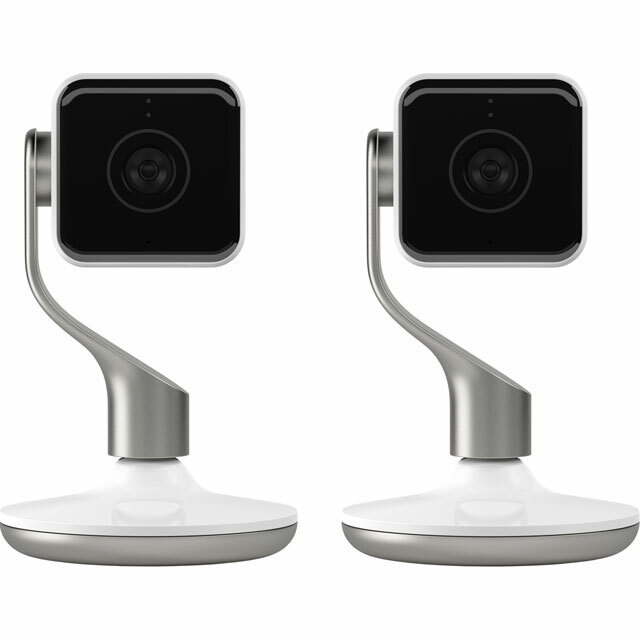 This also comes in a bundle with a Ring video doorbell, so you can double up on home security and catch any unexpected visitors from different angles. Please note, for both of these models you’ll need to download the free Ring app, which is compatible with all iOS and Android devices. I got the doorbell and camera in the post Christmas sale. Overall it is good value, the camera is excellent but the doorbell adequate. The camera has full 1080p hd quality. The doorbell is 720p but you can tell the difference. Both easy to install even for a novice like me. 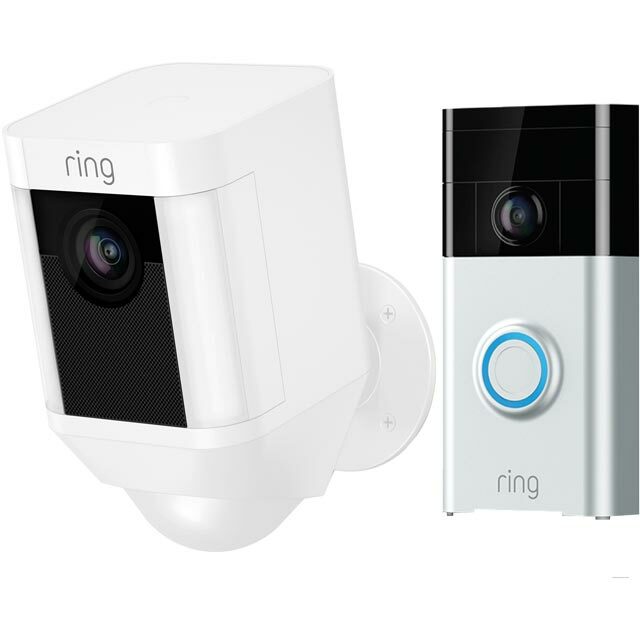 We have had Ring products for some time now and love the peace of mind it gives it. We wanted to buy a doorbell cam for our parents, when I saw the offer AO had we just couldn’t resist getting both. The battery versions are great, easy to charge and set up as usual couldn’t be easier. Nice wide angled lense on both units give a good wide view. Highly recommend. The service from AO was great as usual with the item arriving promptly at our designated pick up point allowing me the flexibility to collect after work. 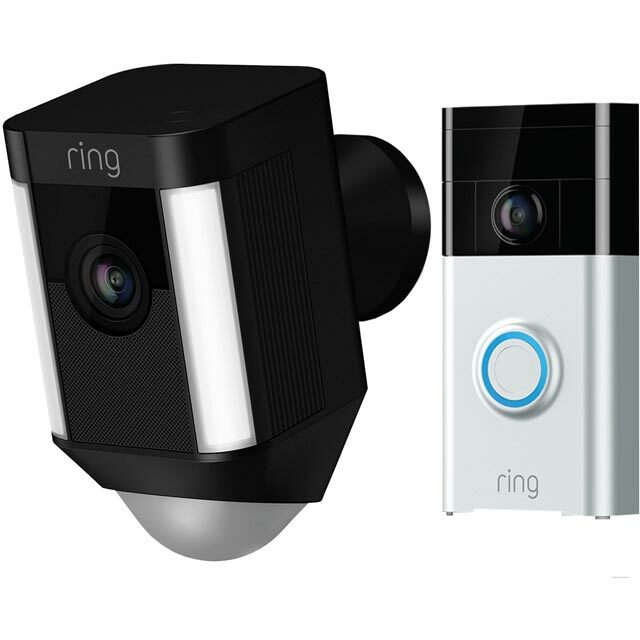 Ring Spotlight Outdoor Camera & Ring Video Doorbell Camera Battery models are very easy to setup and fit. You get alarms and pictures sent to your iPhone & ipad. Pictures great. I now have the confidence that my house and Drive are being covered when at home or away. You can also see & talk or sound an alarm to persons at your door. Night vision is very good but with a light on the spotlight camera it is like daytime. I was so impressed that I have purchased a second set. Very happy with the spotlight doorbell combination which provides me all round security for my house. I can view at any time and receive appropriate notification of any approaches to the house. Good LED lighting from the camera for all round safety.